The Big Day Goes Green! Your wedding day is lush with decoration, celebration, and everything in between: from invitations and flowers to limousine rides, food, and, of course, cake! In the midst of planning for the Big Day, it’s easy to forget just how harmful each of these things can be to the environment. Luckily, the ever-growing awareness of going green has encompassed the world of weddings and now there are countless ways to help make your wedding as eco-friendly as possible. Just a few small changes can go a long, long way! or texture to create exact style you desire. 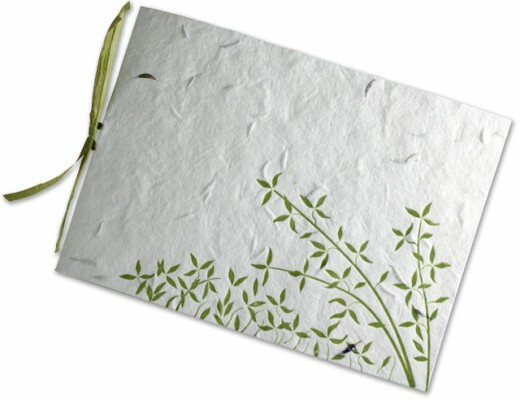 Websites such as botanicalpaperworks.com sell plantable invitations that have wild flower seeds embedded within their 100% post-consumer invitations! But don’t stop there! 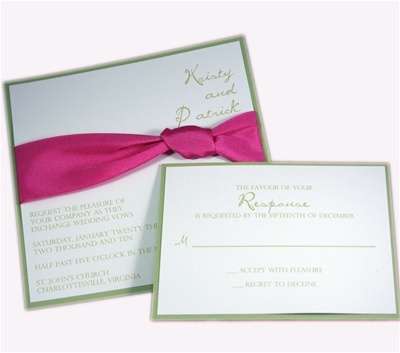 If most of your guests have internet access, take your paper-saving skills a step further by using a free website design site to post all of your wedding details and only send paper invitations to those who need it. 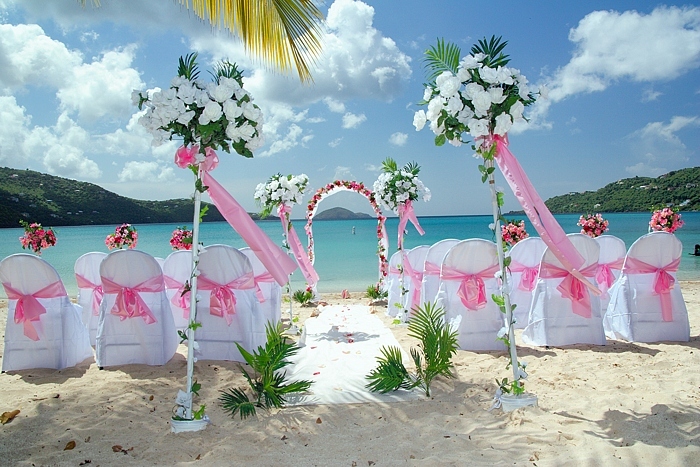 Getting married outdoors is one of the most effective ways to make your wedding green. Wedding venues require an outpouring of electricity and running water to operate, which ultimately results in a ton of waste. Choosing to exchange your vows alfresco, like in a blossoming garden or on a sandy coastline, is just as eco-friendly as it is gorgeous and totally unique! 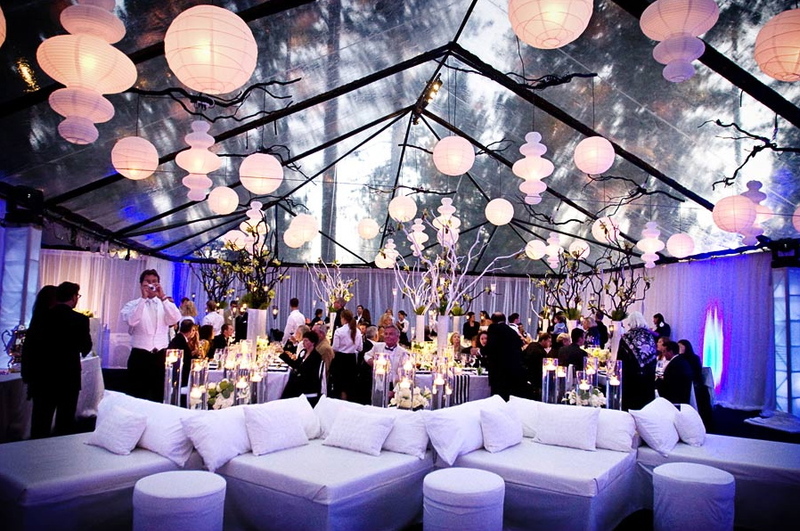 There are dozens of ways to dress up your outdoor site by choosing from different types of tents, decorative lighting, colorful ribbons, and so on… don’t be afraid to get creative! Not to mention, the breathtaking surroundings of an outdoor wedding are ideal for pictures, especially when using eco-savvy digital photography! If you’re still wary about trusting Mother Nature with your Big Day or have your heart set on an indoor wedding, keep in mind that lots of venues are aware of couples that want their weddings to be environmentally friendly. Look around for places that recycle or use energy-saving appliances. Booking a venue that has large windows or skylights is also another great green option. This will allow the venue to keep the lights off but still have plenty of light shine through all while creating an awesome atmosphere, too! 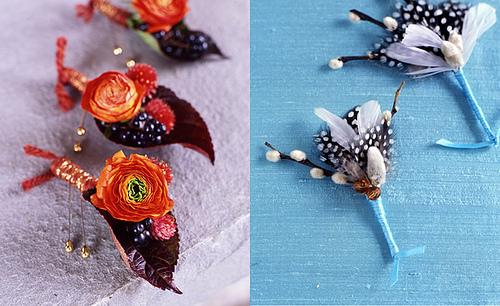 When it comes to flowers and food, make them fit the season! Off-season fruits, veggies and flowers are grown in greenhouses and must be transported to your area by air and road travel. Choose flowers and food that both are in-season and produced locally. Some caterers and florists work specifically with local businesses, which is one of the best green decisions you can make. Shopping locally greatly reduces excess refrigeration and packaging that wastes electricity and produces trash. 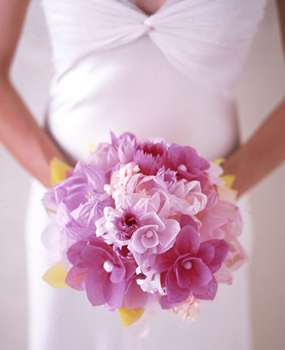 If your flower choices aren’t in season, shop around for synthetic flowers or order DIY kits to make flawless pa per boutonni eres and bouquets that can fool a florist (and be recycled after the wedding)! If you still wish to have flowers that are in the off-season or not locally grown, purchase flowers that are Veri-Flora Certified. This certification means that the flowers are not doused in chemicals that are harmful to the environment or to the workers that handle them, which is incredibly important. 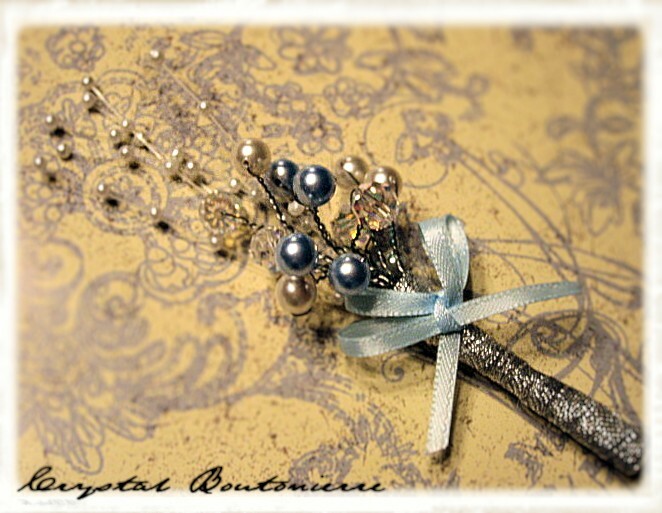 Be mindful that potted floral centerpieces and decorations are more eco-friendly than other designs. As a wedding favor, order seeds of your favorite flower for your guests to take home and replant as a remembrance of your wedding day. If you want to take the green plunge to another level, trade your flowers for flames and walk down the aisle with a classy candle bouquet. 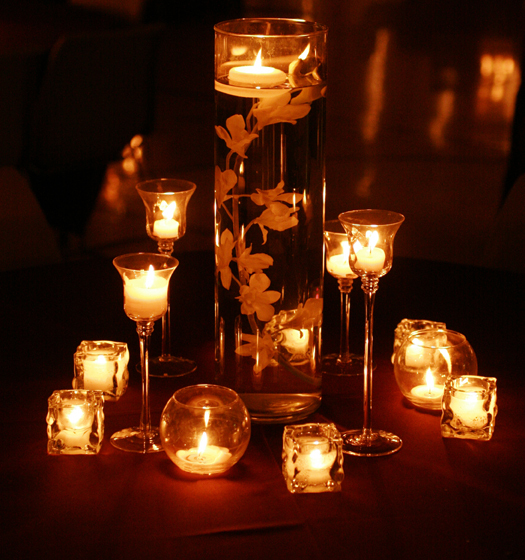 Ornament your tables with elegant candle centerpieces as well! 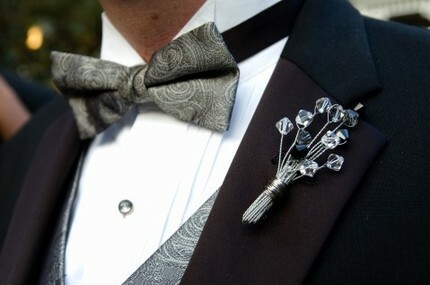 Dress up the Groom and his groomsmen with flowerless boutonnieres! 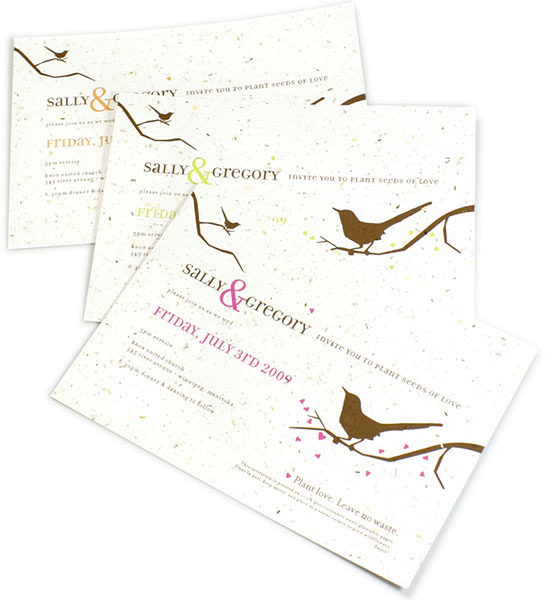 Use colorful feathers, bows, and other creative additives for a whole new kind of green statement. To keep the amount of automobile pollution under control on your wedding day, consider keeping your ceremony and reception in one location. If you need to switch sites, depending on your number of guests, hire a few party busses to transport your guests in large groups to reduce the amount of emissions emitted into the air by individual cars. As far as your transportation as the couple, skip the typical limousine ride and opt for a romantic horse and buggy ride! The possibilities of making your wedding more eco-friendly are truly endless! Think outside of the box and have an amazingly green wedding day! Great ideas for couples planning an eco-friendly wedding! Thanks for sharing!